Your safety should be your number one priority when going to a provider for fillers, facial muscle relaxers, or other aesthetic treatments. It's scary to think about, but you can actually increase your risks for complications and poor aesthetic results with an inexperienced injector. Here are a few things to look for when choosing the right provider. Plenty of time training with an experienced injector before injecting clients. Repeated exposure to “practice” injections to perfect his or her technique. Experience with correcting cosmetic deformities such as asymmetry. Hundreds or even thousands of clients that have been treated before you. Knowledge of which fillers are appropriate for each facial concern. These important aspects of mastering the trade or injecting will help you to get high-quality results. The right product needs to be injected into the right area using the right techniques in order to get the look the client desires. Without years of experience in all of these areas, an injector is likely to fall far short of the mark. Don’t risk your appearance or safety just for a good deal. The cost is far higher than you think! A member of a medical and/or aesthetic association means that the provider has passed the rigorous criteria that the association requires. Without an association membership, the provider has no one to answer to (except the health board in that state). However, the health board only gets involved after complaints have been filed. So, do your homework and verify that your potential provider belongs to a professional association. And feel free to check you state’s health board to learn about any complaints that may have been brought against a provider. Not all medical professionals have their business listed with the BBB, but it doesn’t hurt to check. If they are listed, look at the ratings and remarks left by other clients. Remember that the BBB is a place where people complain, so use common sense to evaluate whether there is a pattern in the types of complaints left on the site (and whether they are major issues). Because online testimonials can be skewed on a provider’s website, look at before & after pictures on local review websites such as RealSelf, Google, or Facebook. By looking in places other than on the provider’s own website, you can see unbiased results posted by real clients. While you’re there, it can’t hurt to look at the injector’s ratings on their reviews. 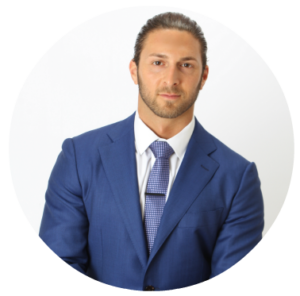 James Christian Sardelli, RPA-C has been providing expert technique with cosmetic injectables for over a decade. He has the years of experience needed to provide stunning results for clients to address most aging concerns. James Christian Cosmetics is located in Nassau and Suffolk Counties with offices in Manhattan, Commack, West Sayville, Rockville Centre, Westhampton Beach, Farmingdale, Islip, and Babylon Village. James’ Cosmetic Concierge line is (917) 860-3113…text 24 hours a day, 7 days a week. Or, you can call during business hours to 1-844-iBOTOX-Now.